Tiny Castles build contest - winners! 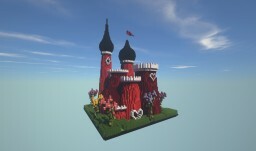 home Home arrow_right Forums arrow_right Pmc arrow_right Events arrow_right Tiny Castles build contest - winners! 1. Idea and Creativity ( /10) The concept and general idea of the build, and how well it meets the contest theme. The quality of techniques including depth, detail and colours and the execution of certain aspects of the build including exterior, interior, landscaping and decorating. The final product of an entry should have a consistent theme/ idea and have all aspects and techniques working together in cohesion. Palettes won first place, with 51 points for her Queen of Hearts castle! 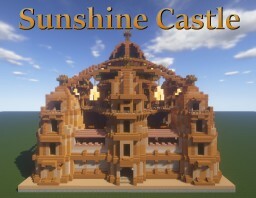 Our second place winner scored 43 points, Sunshine Castle by Tizona! Greenwood Keep by knetterzak made thrid place, with 38 points! Congratulations to the winners! And thanks again to everyone for participating. Please feel free to display the participation badge and trophies on your profiles. Please check the original forum thread for any additional prizes. A big thank you to Cib for making the badge and trophies, and to both of the judges for scoring the tiny castles. Congrats to everyone! I loved all of the builds. This challenge was really fun!